By David Ponce on 07/21/14 • Leave a comment! We can’t really think of anything useful you might want to do with the above ArmBlade, but that shouldn’t stop you from buying it. After all, if you only ever bought stuff that’s actually useful, you’d likely have a lot more money in your bank account. Measuring a healthy 17-3/8-inch long, the thing is made from one piece of hard-anodized black stainless steel. 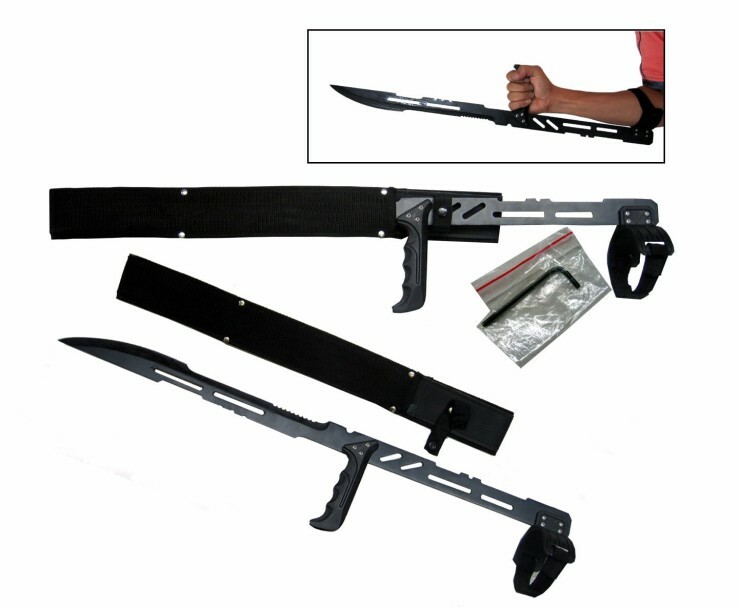 Along with the blade, you get all the other hardware needed to assemble it, including the grip and forearm strap. The best part, perhaps, is that you’ll have to pay all of $18 to own it. Which, all things considered, isn’t a whole bunch of money to spend on something not entirely useful. By David Ponce on 02/20/14 • Leave a comment! 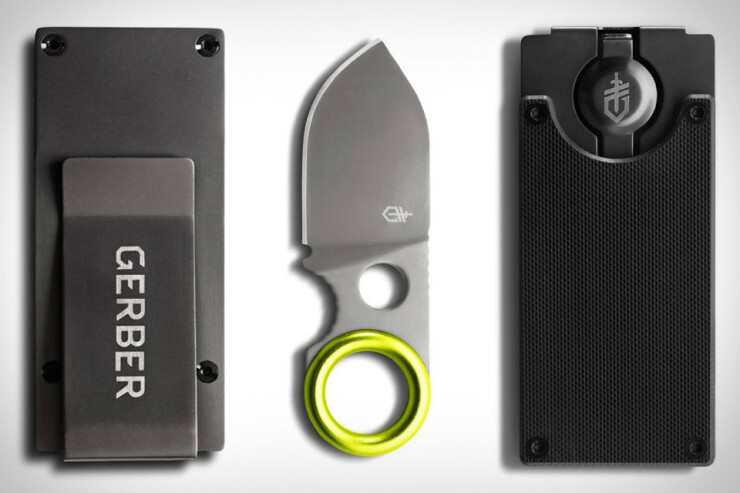 We’re not exactly sure what sort of scenario would call for someone to be able to pull a blade out of their money clip, but that’s exactly what we’re looking at here with the Gerber 31-002521 GDC Money Clip. You can carry a couple of cards and bills on the one side, and a titanium nitride coated steel blade with a G10 front plate on the other. Measuring only 3.6 inches, it’s relatively discreet, while tipping the scales at a paltry 2.9 ounces. $30 and it’s yours. By David Ponce on 04/02/13 • Leave a comment! Carrying a cutting tool in your pocket can definitely be practical. Stuck upside down in your car after an accident? Cut the seat belt. Bear in a cage got you by the T-shirt? Cut that shirt to shreds. A pocket knife is great! What’s better? A sheathed knife that’s so stealthy it doesn’t even look like one at all. 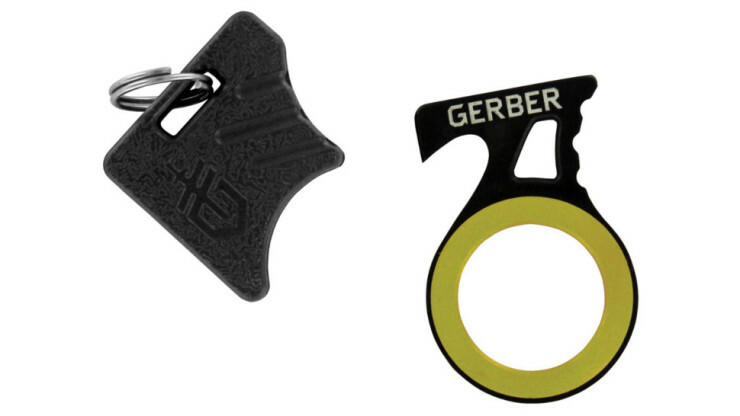 Gerber’s Daily Carry Hook Knife is a 2 inch stainless steel hook blade that fits securely around a finger, much like a ring. Press your thumb against “the thumb grip and you’ve got a solid hold that won’t budge when you put a bit of power behind a cut.” Don’t have an emergency, life-saving, knife-related situation? That’s ok, you can use the blade on envelopes, an annoying retail package or that box the UPS guy just dropped off. At $11, it’s a no-brainer. 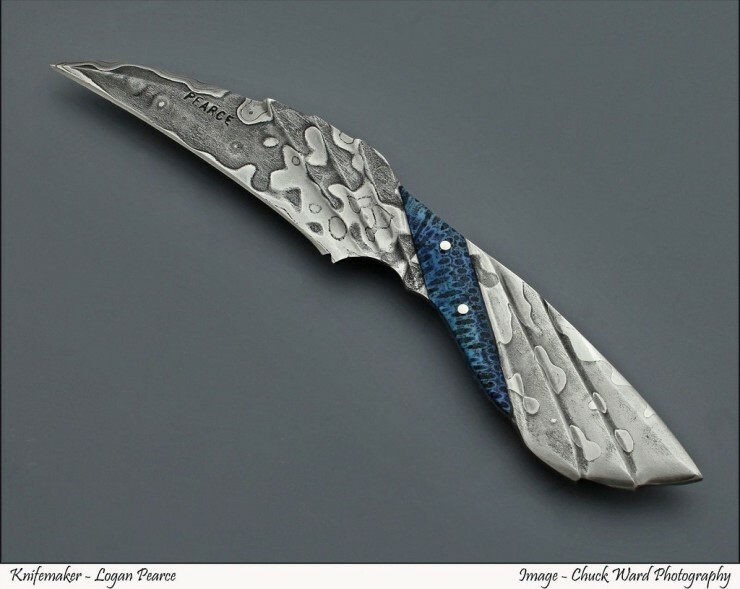 Logan Pearce is a third generation knife maker. His grandfather made a name for himself forging knives out of railroad spikes, and although Logan carries the tradition still, he also makes them out of everyday objects like wrenches, pieces of rebar, and even heavy duty bolts. 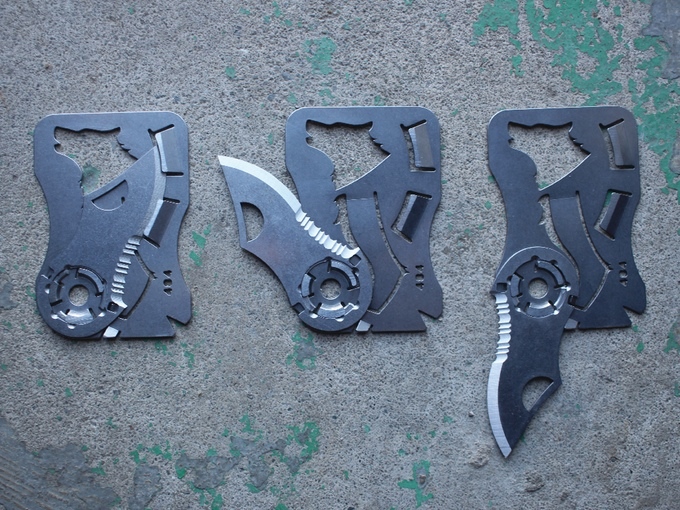 Granted knifemaking isn’t exactly cutting edge tech (see what we did there? ), we kind of like Logan’s work and think he deserves some attention. Not that he’s not getting any to start with as there is a 3 week waiting time for any new orders. With prices ranging from $20 to $350, you can own a handmade blade no matter what your budget is. If you’re wondering why we like them so much, head on over after the break for more pictures. Here there you incognito maniac you. Looking for a little protection from more than just the elements? 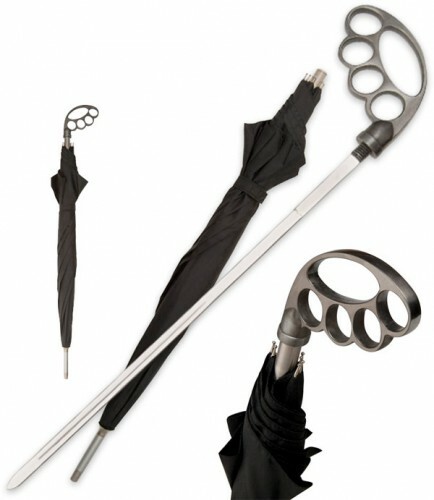 How about this umbrella, so dangerous it can’t even be shipped to California, Massachusetts or New York? While it works just fine as a regular water protector (albeit one with a metal knuckle guard as a handle), simply give it a little twist and you can pull out a 15 inch blade that should be enough to scare off but the most determined of assailants. Like the ones with guns. Then you’re screwed. Still, for $30, there are worse things money can buy. Let us just be adults and say: don’t be an idiot with this.